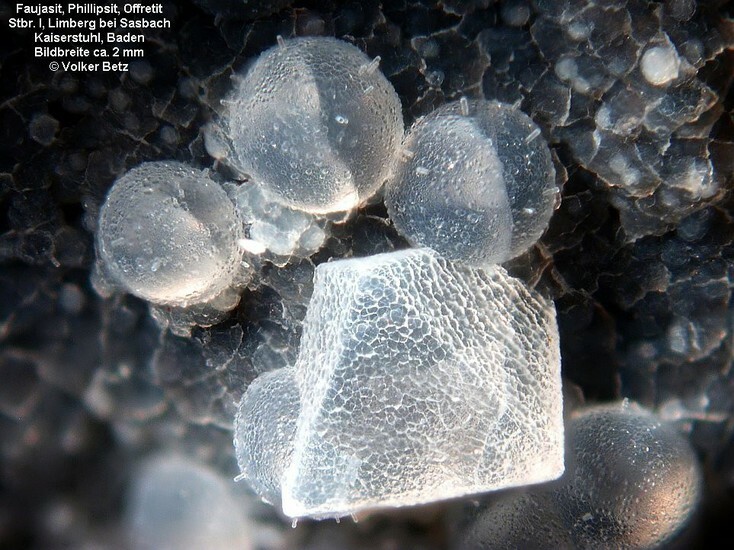 Faujasite: Mineral information, data and localities. This page provides mineralogical data about Faujasite. Offretite 9 photos of Faujasite associated with Offretite on mindat.org. Phillipsite-K 5 photos of Faujasite associated with Phillipsite-K on mindat.org. Phillipsite-Ca-Phillipsite-K Series 5 photos of Faujasite associated with Phillipsite-Ca-Phillipsite-K Series on mindat.org. Opal-AN 3 photos of Faujasite associated with Opal-AN on mindat.org. Montmorillonite 1 photo of Faujasite associated with Montmorillonite on mindat.org. Erionite 1 photo of Faujasite associated with Erionite on mindat.org. Opal 1 photo of Faujasite associated with Opal on mindat.org. Wad 1 photo of Faujasite associated with Wad on mindat.org. 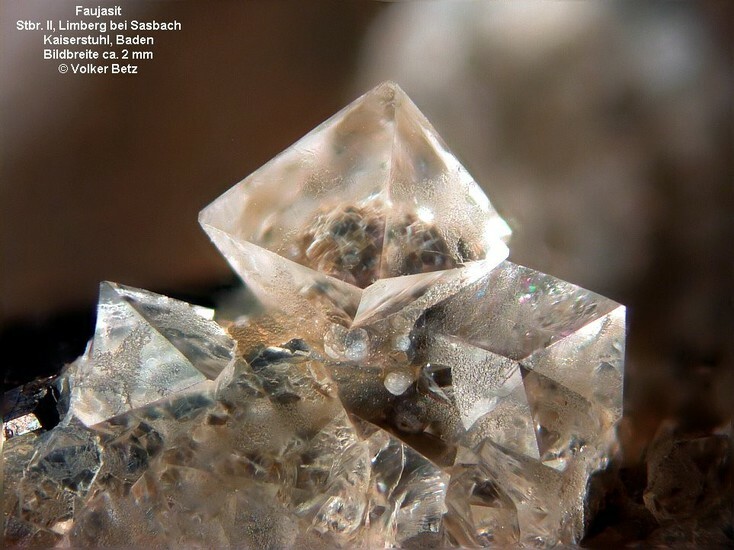 [Faujasite-Na] Tschernich, R. (1992): Zeolites of the World, p.170. Van Velthuizen, J.J., Gault, R.A., Robinson, G.W. & Scovil, J. (2006), Zeolite occurrences in the Central Metasedimentary Belt of the Grenville Province, Ontario, Quebec and New York State. Mineralogical Record: 37: 283-296 [locality #75]. [Faujasite-Na] Boisson, J.-M. & Leconte, J. (2014): Analyses 2012-2013 MNHN-MICROMONTEURS. La revue de Micromonteurs, 21. [Faujasite-Ca] Ibrahim, K., Hall, A. (1995) New occurrences of diagenetic faujasite in the Quaternary tuffs of north-east Jordan. Eurpoean Journal of Mineralogy, 7:5, 1129-1136. [Faujasite-Ca] Eur. J. Mineral. , 1995, 7, pp. 1129-1135. ; Ibrahim, K., Hall, A. (1995) New occurrences of diagenetic faujasite in the Quaternary tuffs of north-east Jordan. 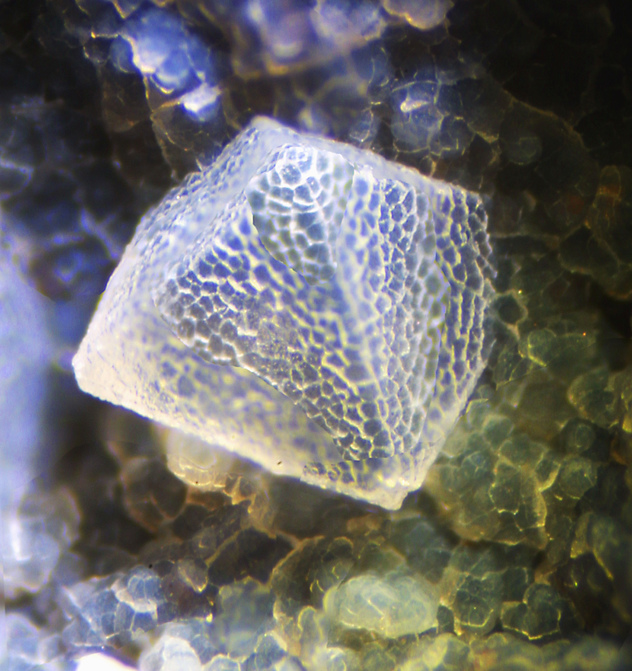 Eurpoean Journal of Mineralogy, 7:5, 1129-1136. [Faujasite-Na] Collection Agustin Agudo Espinosa [analyzed by Dr. Joan Viñals of Barcelona]. ⓘ Copper Falls Mine ?